Thank you so much for yet another incredible challenge this week. Teneale's sketch was a winner to play along with. To reach over 70 entries in our second week is so exciting. We can thank you all enough for your support with the Global Design Project. Here are our three winners this week, of course deciding who our winners were was so tough! There were many that we could have chosen. 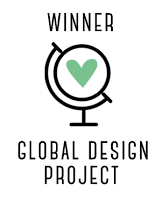 If you are a winner make sure that you add the Global Design Project badge on your blog. There are so many elements on this card that we love. The stitching, sponging - the burlap ribbon and the way you have layered the circle element with velum. What a wonderful piece of work. 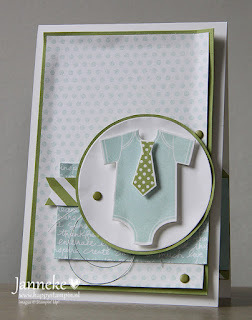 These colours and the way you have embossed more than one layer is awesome Jen. We love your take on Teneale's sketch. This card is totally adorable Janneke. 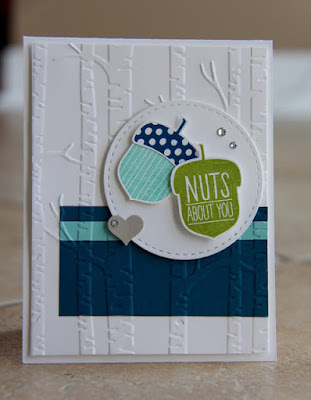 We love the modern elements that make this card a stand out. The folded edges of the background is a great technique. 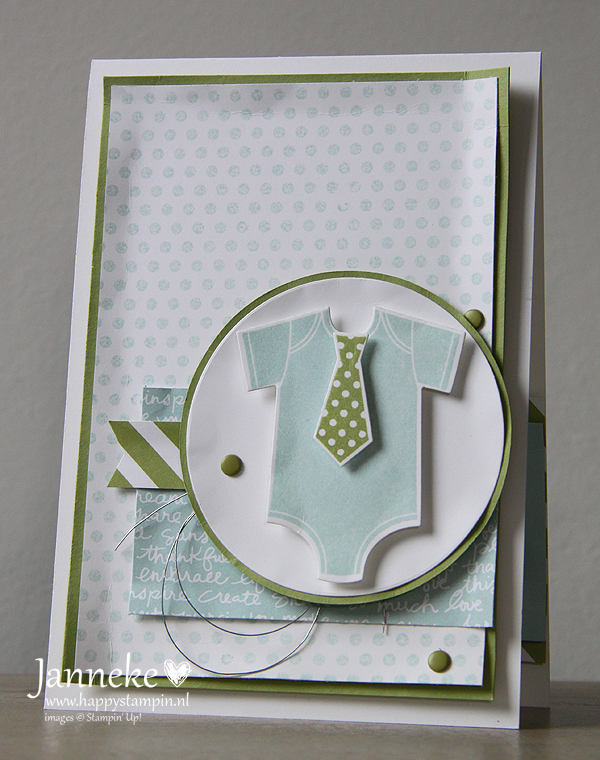 The colours are wonderful for a little boy baby card. That cute raised little tie is a perfect compliment. Thanks again to everyone that played along with us this week. Make sure you plan to play along next week with us it is a theme next week. We are very excited for you Denita! Well done. 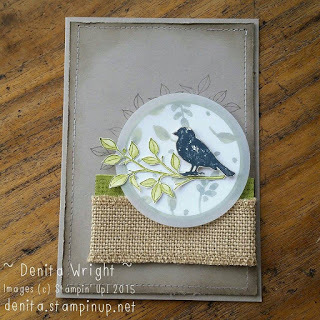 Woohoo congratulations Denita I just love your card and also to Janneke and Jen love your work as well. Well done Girls. Congrats to Denita and Jen to, your cards are so great! Well done Janneke!! We are thrilled to have you play along with us. Your card was gorgeous. Stunning work everybody! Well deserved winners. Well done!